City watchdog the Financial Services Authority (FSA) is revising the way it investigates companies in a bid to make the process clearer and fairer. The FSA is under pressure to improve its reputation after a series of criticisms for being heavy handed. In May, Prime Minister Tony Blair said the FSA was "seen as hugely inhibiting of efficient business". Now the FSA says it will introduce more thorough investigations and give its rulings committee greater independence. In the past, the watchdog's enforcement process has been criticised for its lack of transparency and the perception that firms do not get a fair hearing from the Regulatory Decisions Committee (RDC). Currently, companies are excluded from seeing all information given to the RDC by the FSA's enforcement staff. After a five-month review of its enforcement process, the FSA has decided that all substantive communication between the enforcement unit and the RDC will now be made available to firms. This follows criticisms that the relationship between the enforcement team and the RDC was too close, affecting its impartiality. 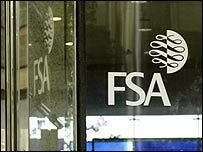 The FSA said it would publish an annual account of its enforcement performance and will welcome any feedback from those firms under investigation. It will also offer discounts of up to 30% on fines to firms who offer to settle their cases early. The planned changes, which will be implemented by the end of the year, will cost the watchdog an extra £2.5m a year. The FSA was criticised earlier this year when evidence it used in a case against Legal and General was found to be lacking and the £1.1m fine it imposed was halved. An independent tribunal accused it of launching a "flawed" probe into the insurer.